Endiandra itauba (Meisn.) Benth. & Hook.f. Misanteca anacardioides (Meisn.) Benth. & Hook.f. The tree yields a high quality timber and is commonly harvested from the wild for local use and for export. It is also harvested locally for its edible fruit and medicinal uses. 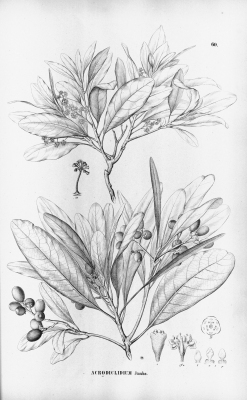 An excellent botanical publication, available for download from the Internet. This volume contains a treatment of the genus Mezilaurus.